With the semester winding up for some and down for others, we’re finally starting to see a light at the end of the tunnel. 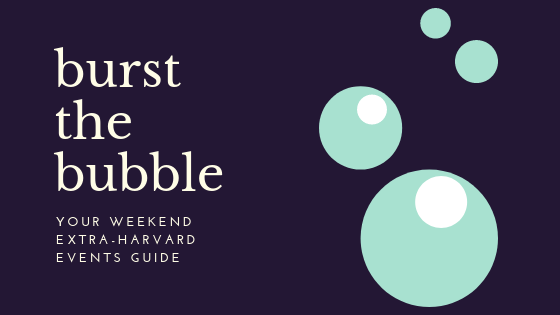 Thanksgiving break right around the corner, but before we’re hit with back-to-back busy weekends of Harvard Yale and family time, hit the streets of Boston for a dance class, a cooking class, or a good old-fashioned scary movie. Feeling a little sad that Halloween is over? Wanting to get a little more time out of spooky season before Christmas carols follow you everywhere you go? This Friday, the Coolidge Corner Theatre in Cambridge is hosting a special midnight showing of The Thing on 35mm. Gather your film buff and horror fan friends for some spooky Friday night fun! Winter formals are sneaking up on us faster than we realize, and it will be mere weeks before you have a chance to formally re-discover your dance skills (or lack thereof). If you’re looking to impress your friends with some retro moves, look no further than this Saturday’s free “Swing/Charleston Bootcamp.” Head to Swing City in Cambridge from 6:30-8 p.m. for a class designed for absolute beginners. If you’re feeling particularly spiffy by the end, they’re even hosting a real swing dance right after the workshop! Like cooking? Like Spanish? Intrigued by HUDS’s attempt at ceviche but think you can do better? This Sunday from noon to 4 p.m., Hostelling International will be providing a free workshop on the history, culture, and preparation of ceviche, a dish made with raw fish. The event will be conducted in Spanish and translated to English, and all are welcome regardless of language/cooking experience. While this class is free, register before going to secure your spot!